The girlfriend getaway is one travel trend that increases in popularity every year. 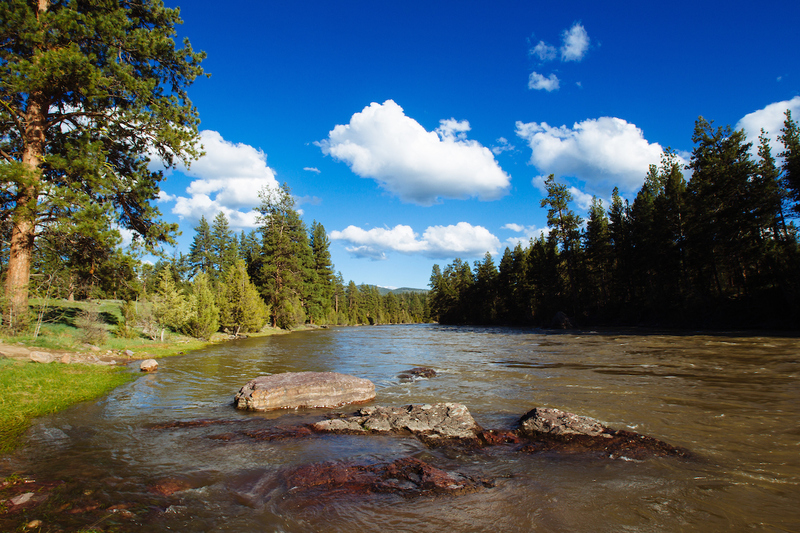 At The Resort at Paws Up, we have several incredible options for your next gal pal vacation. 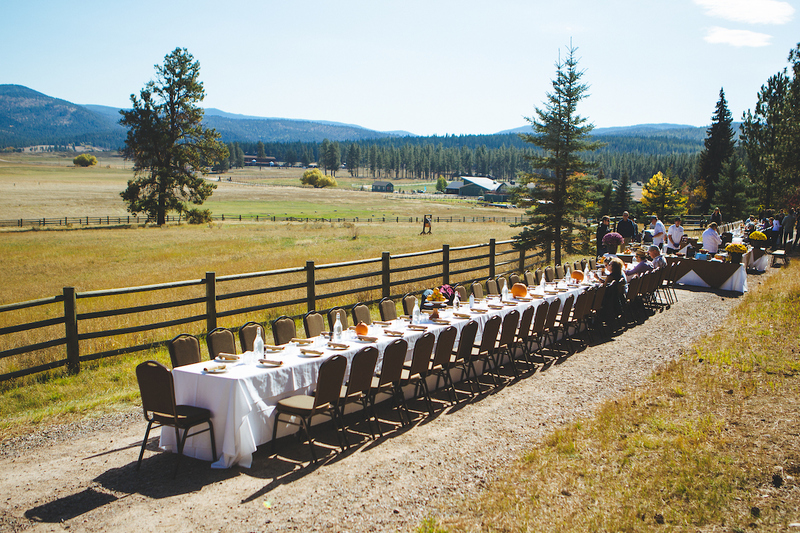 How does an all-female chef and wine weekend, wellness retreat or cowgirl weekend held on our 37,000-acre ranch sound? If you’re overdue for a weekend of pampering, togetherness, adventure and luxury travel, we have four great event weekend options for you. 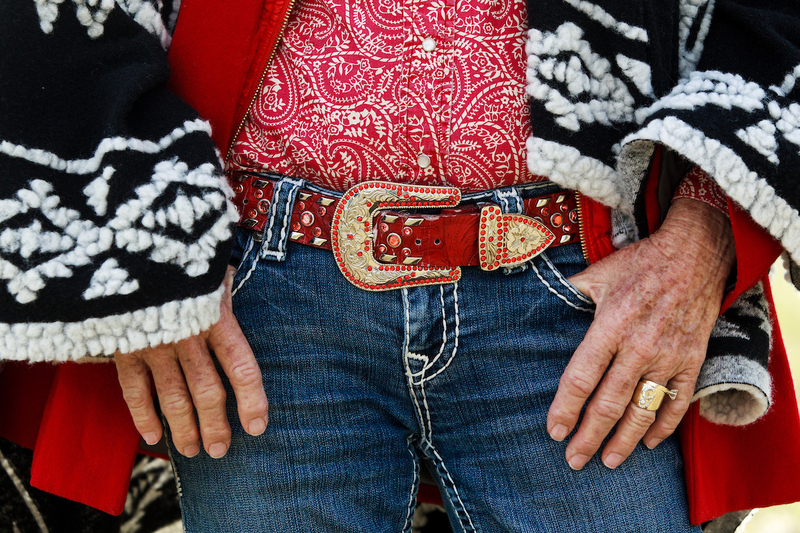 Channel your inner cowgirl alongside your best friends and amazing Cowgirl Hall of Famers. 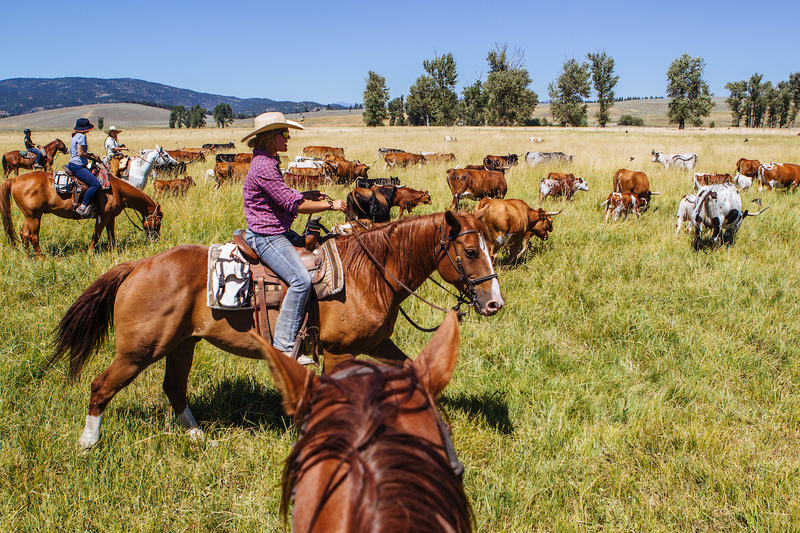 Their workshops teach horsewomanship and other cowgirl skills. 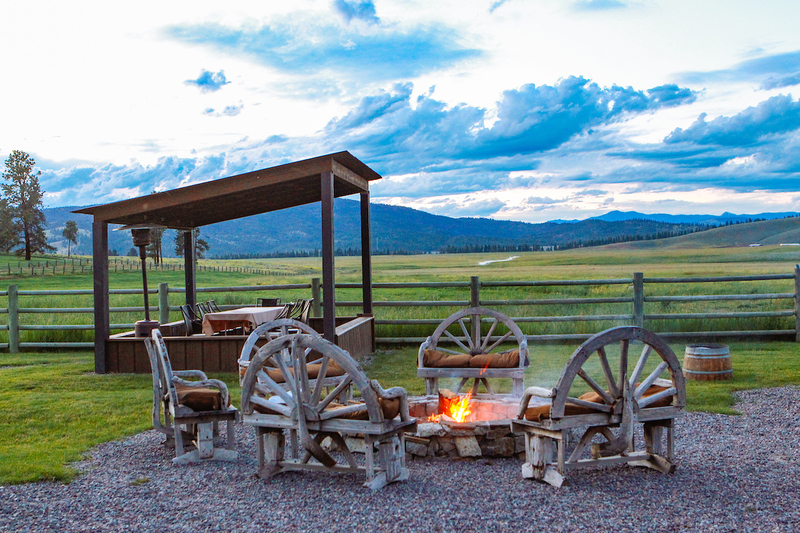 At night, relive a day filled with relaxing trail rides, wildlife adventures and Western art and photography and shoot the breeze around a roaring campfire. 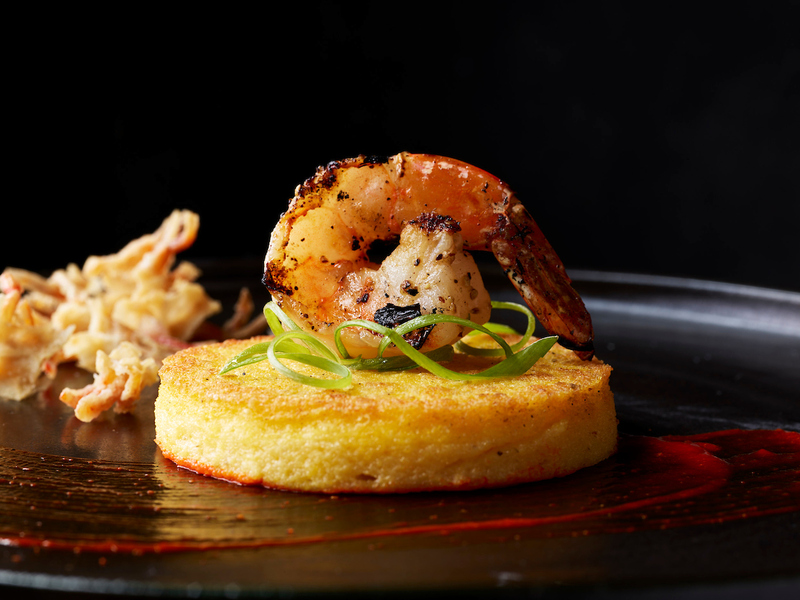 Enjoy exceptional cuisine by Executive Chef Sunny Jin, expertly paired with wines from our featured vintner Planeta Winery. Pack your bags and saddle up! 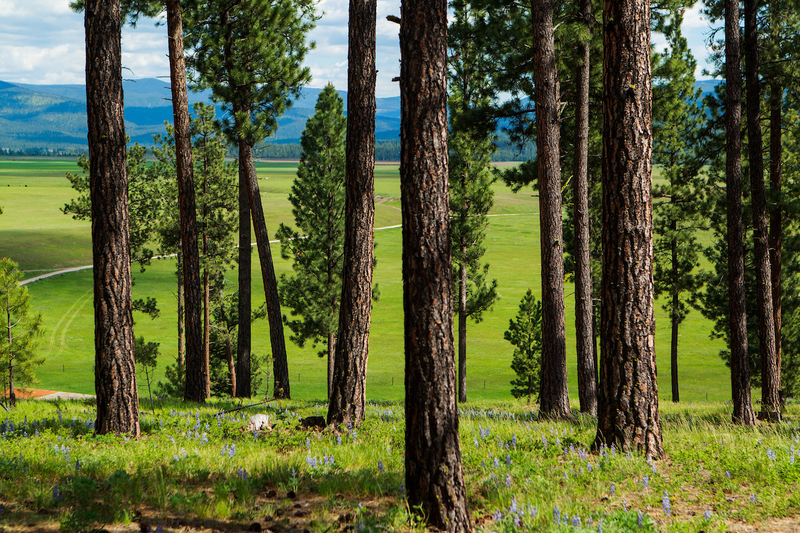 There’s no better place to jump-start your health goals than on our property with more than 100 miles of trails for hiking and horseback riding. 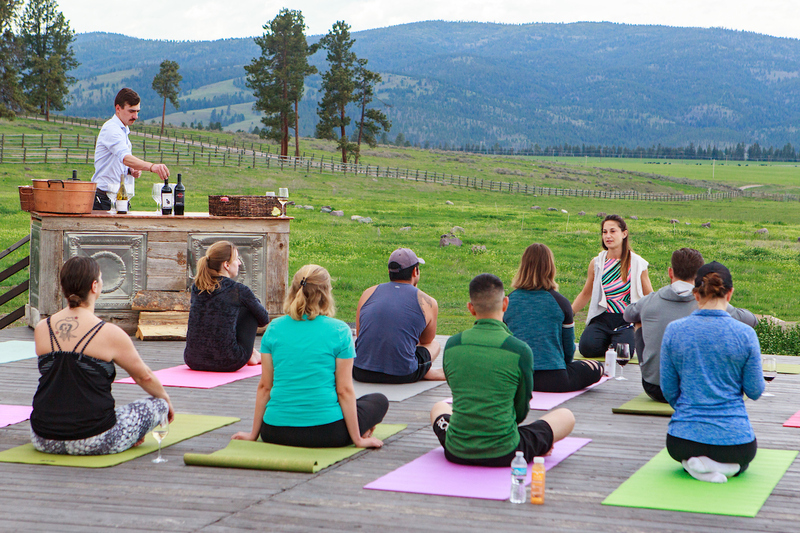 With help from leading wellness experts in the Missoula area, your adrenaline will be pumping during outdoor adventures, and vino yoga will put you on a path to Zen-like tranquility. 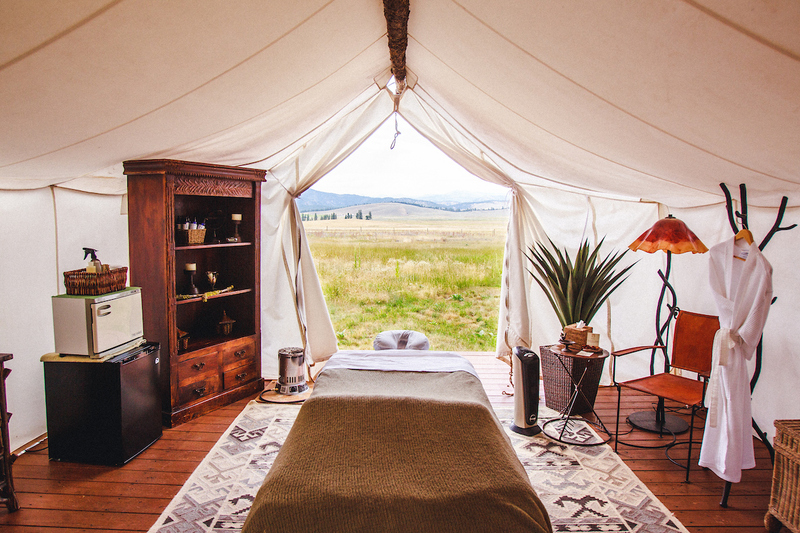 Guests will enjoy one-of-a-kind activities, including Buti and vino yoga classes, glide barre and mat Pilates classes and outdoor cardio and muscle building with a former pro bodybuilder utilizing a gorgeous Montana backdrop. You’ll even learn the art of juicing and preparing raw foods. 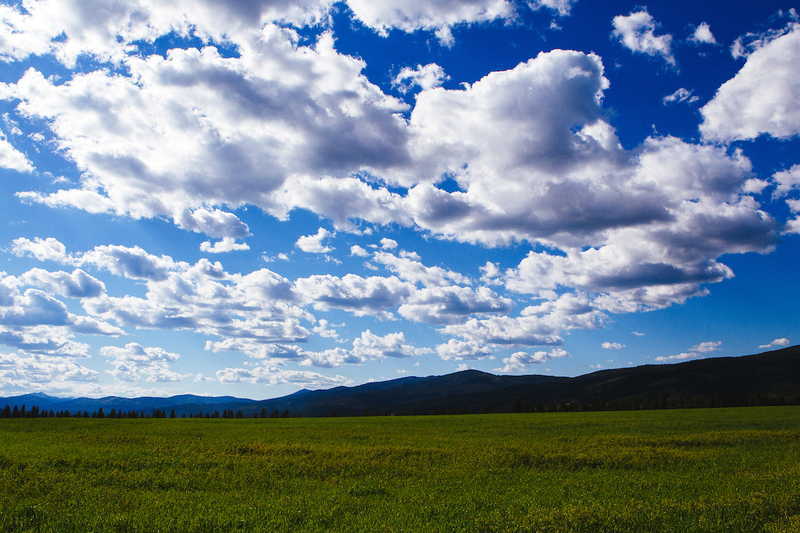 When you need a minute to rest, the scenery alone invites you to unwind. 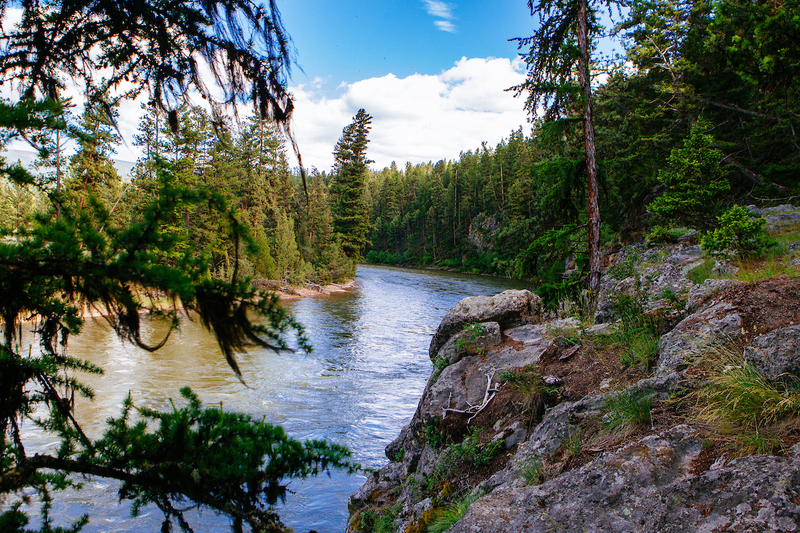 Meditate on the banks of the Blackfoot or find your bliss in a massage at our serene Spa Town®. 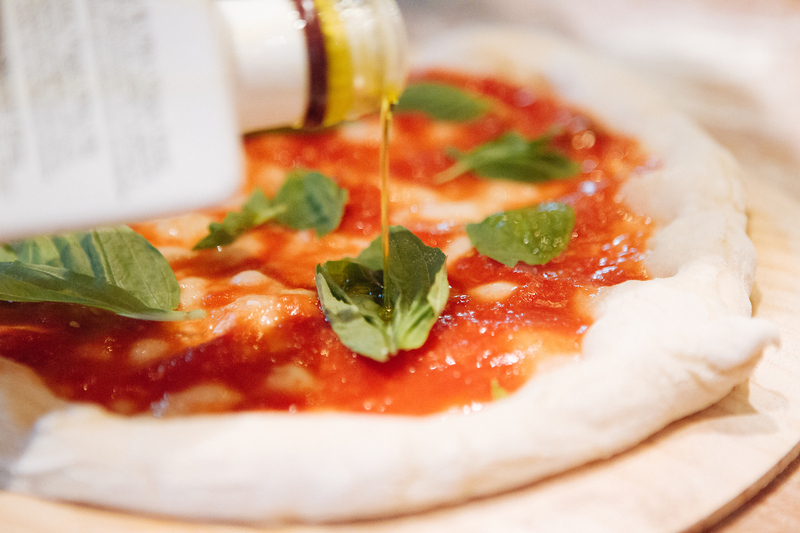 Plus, you’ll dine all weekend long on freshly prepared gourmet cuisine with a health-conscious twist. AdrenZen: Spring is the ideal girls’ getaway to relax, recharge and renew. 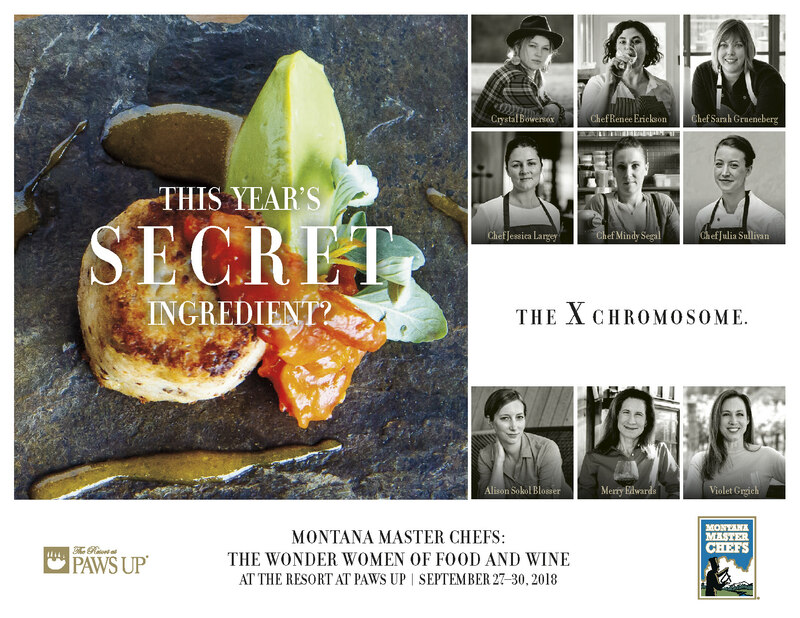 Each year, one of the most exciting highlights of fall is Paws Up’s Montana Master Chefs. 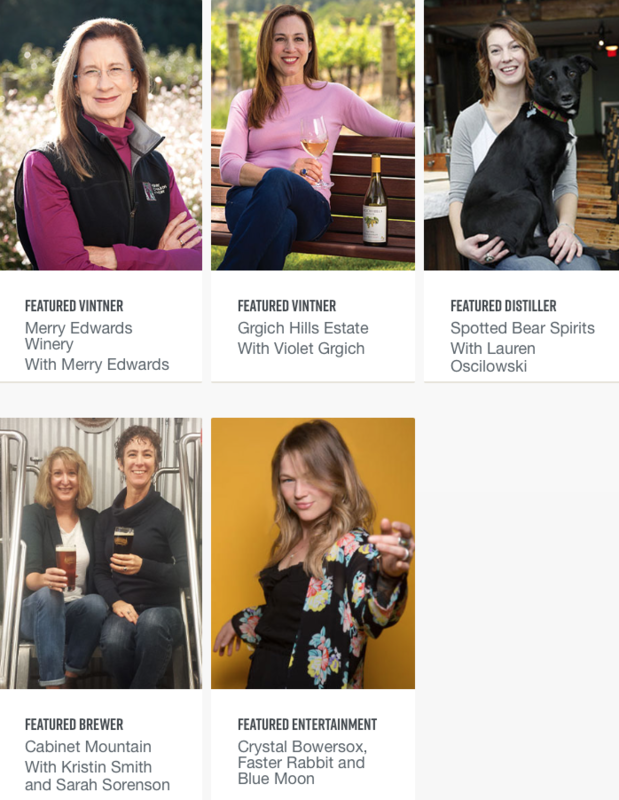 And this year, it’s even more special because we’re celebrating the best of the best—not just among women, but among all who rule in food, wine, beer and spirits. 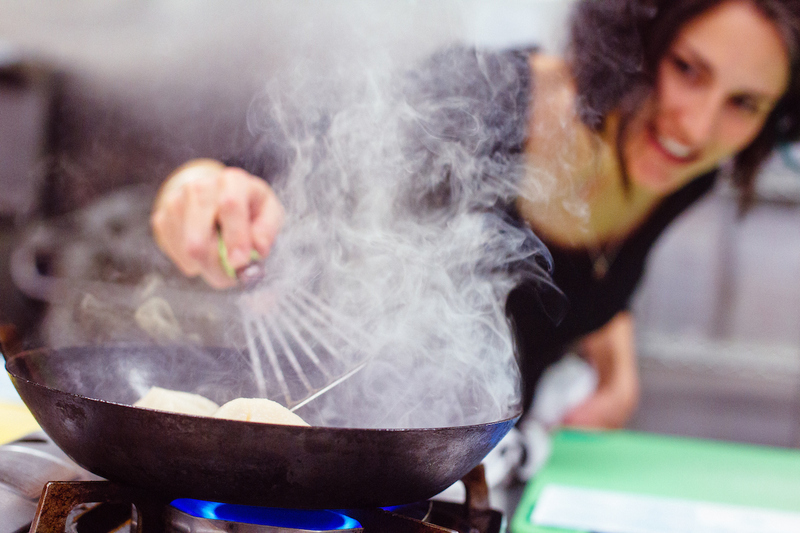 Join us as we plate up our first female-inspired signature culinary event: The Wonder Women of Food and Wine. 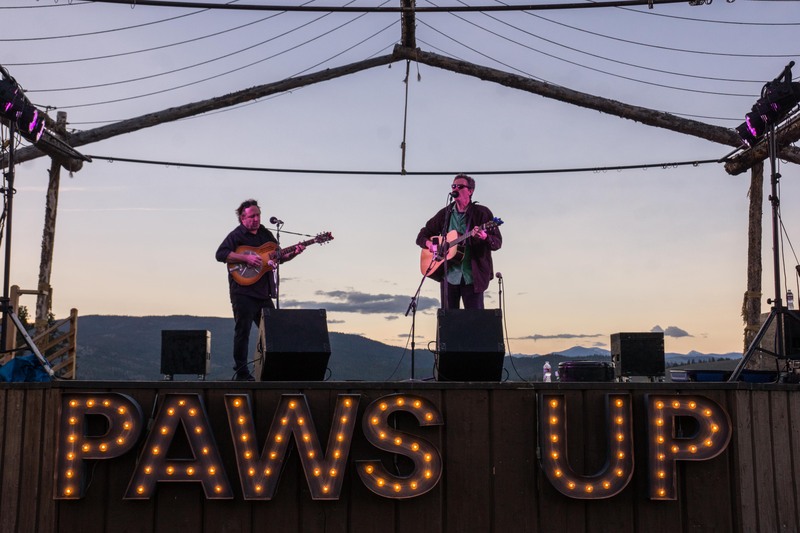 In addition to gourmet meals, the weekend-long event offers live music, celebrity cook-offs, spa treatments, wilderness adventures and a little mixing and mingling with talented stars under big Montana skies. 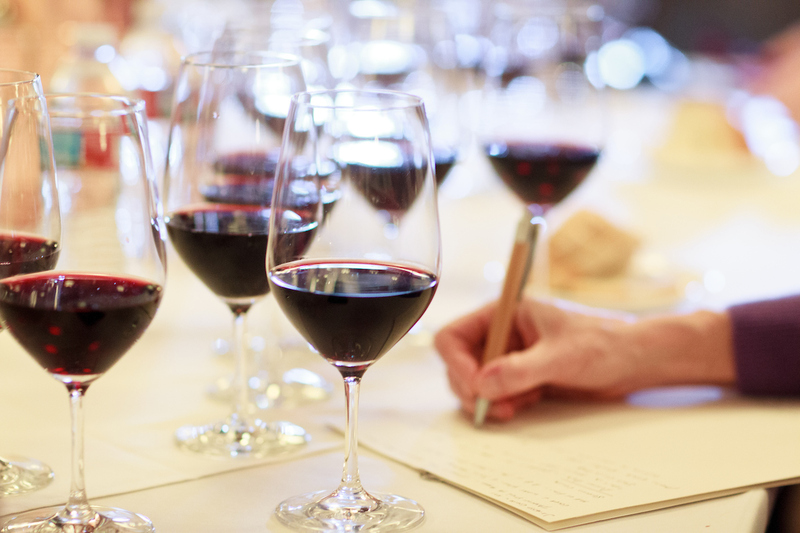 Before the holidays, enjoy a weekend away with your friends toasting to the season. 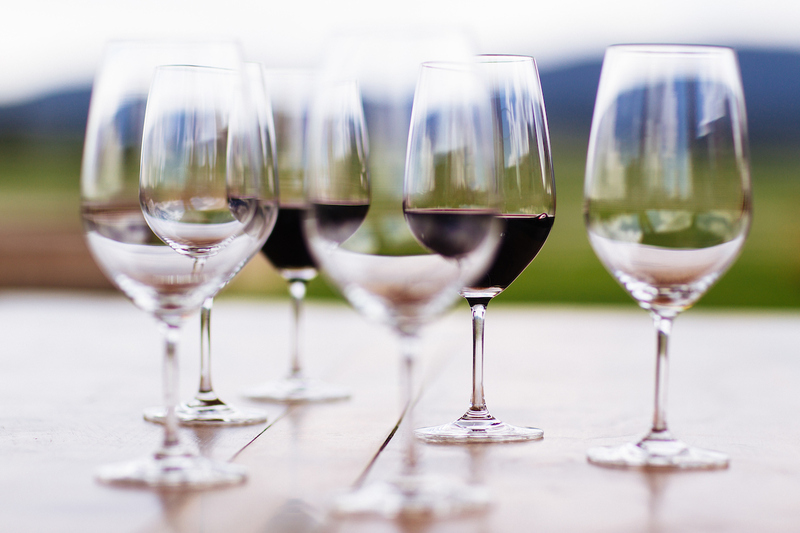 Spend a weekend getting to know one of the most celebrated family-owned wineries in Napa Valley. 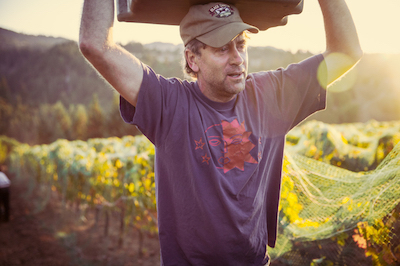 At our fall Wine Weekend, you’ll be sipping (and quaffing) right alongside Chappellet owners Amy and Dominic Chappellet. Guests will explore the crisp, autumnal landscape on horseback or on the back of an ATV or test their aim on a sporting clays adventure. If you’re craving pure relaxation, relax with a little retail therapy, a host of spa services and, of course, a glass of Cabernet while soaking in your private outdoor hot tub. Are you dreaming of summer already? We sure are. And this year, we’re going all-out for al fresco, starting with a Chicago-style picnic in a Montana-size park. 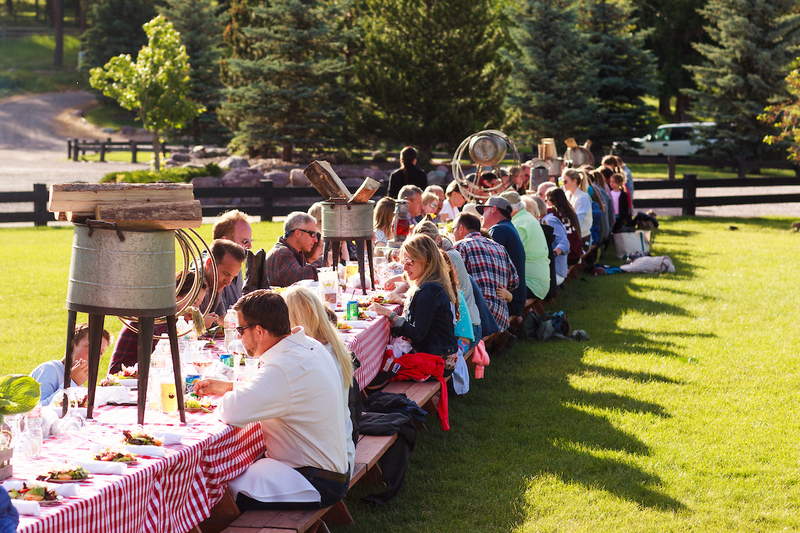 Join us on June 16 for our Montana Long Table: Artisanal Picnic, and you’ll have a chance to chat and dine with illustrious Windy City chefs known for their Chicago dogs and gourmet sausages, honey butter fried chicken and hand-crafted pies. What do you love about eating outside? 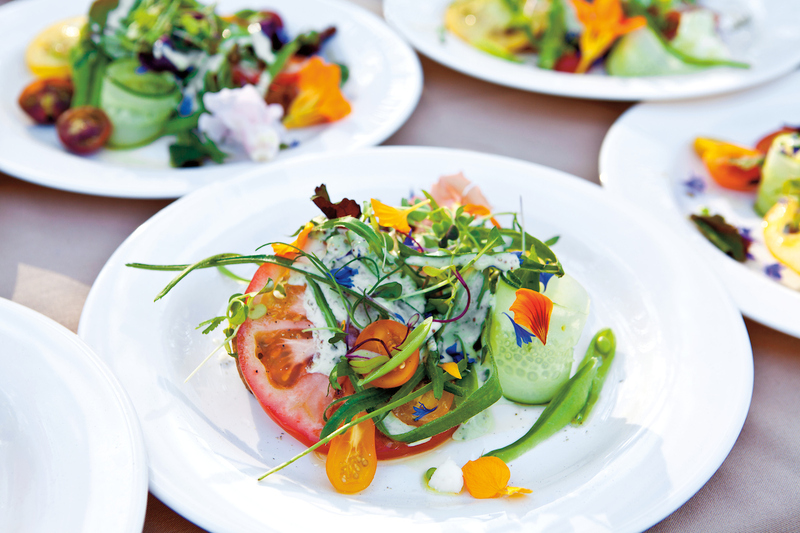 The greatest advantage to eating outside is the wholeness of the experience. It allows us to focus on what’s important, and I believe that simply to mean being present and enjoying the moment in front of us. What are a few of your favorite things to take on a picnic? I’m big on variety and small bites. That doesn’t mean extravagance and significant labor. My choices usually consist of cured meats, pickles, olives, cheeses, whole fruits and the best bread I can find. Every region has local favorites of each item, so an assortment is easy to come by. Other than food, what else might you take? My picnic spots are usually at places where cell service and paved roads are absent. That creates a place with less exposure to human contact, so I carry along a book on plant identification. I’m still amazed what I’m able to find now that my eyes have adjusted to the edible surfaces around all of us. 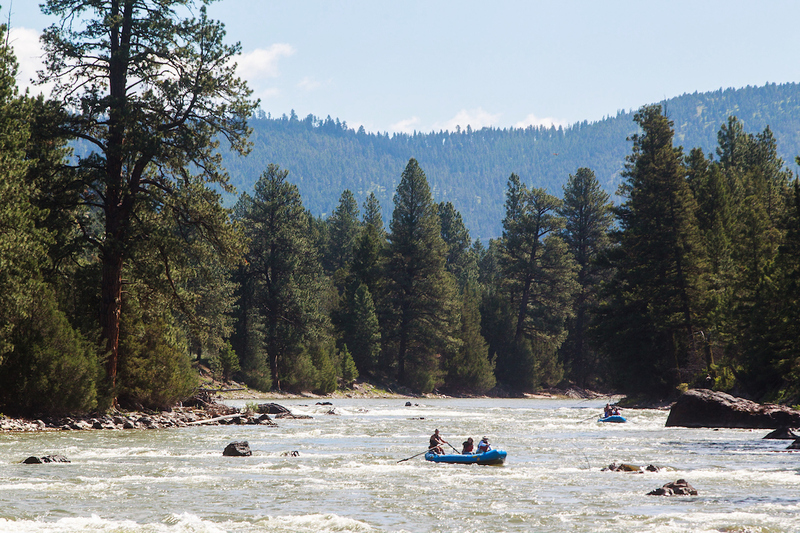 If you were planning a leisurely rafting trip, what would be on the menu? Being respectful and observant of fire bans, regulations and conservation should always come first. It would be a bummer to pack for a riverside BBQ, and then come to find that fires are not permissible. I love to grill as much as the next person and would if the opportunity were there. However, to be safe, I try to stick to cold, no-fuss items that travel well. Homemade Jerky: My freezer is always stocked with experimental jerky made from earlier hunting and fishing trips. Dill Pickle Chips: We all have our vices. Ice Cold IPA: Some have more vices than others. 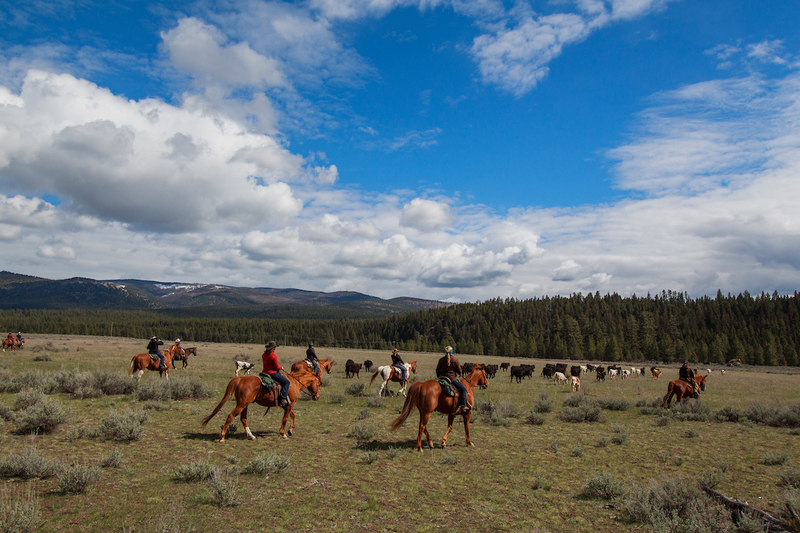 Bring your inner cowgirl to life at The Resort at Paws Up from April 26–29, 2018, for the Cowgirl Spring Roundup. 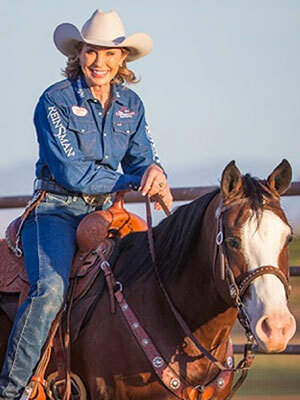 Four National Cowgirl Museum Hall of Famers will lead scenic trail rides and cattle drives and teach you the finer points of barrel racing and creating Western art. 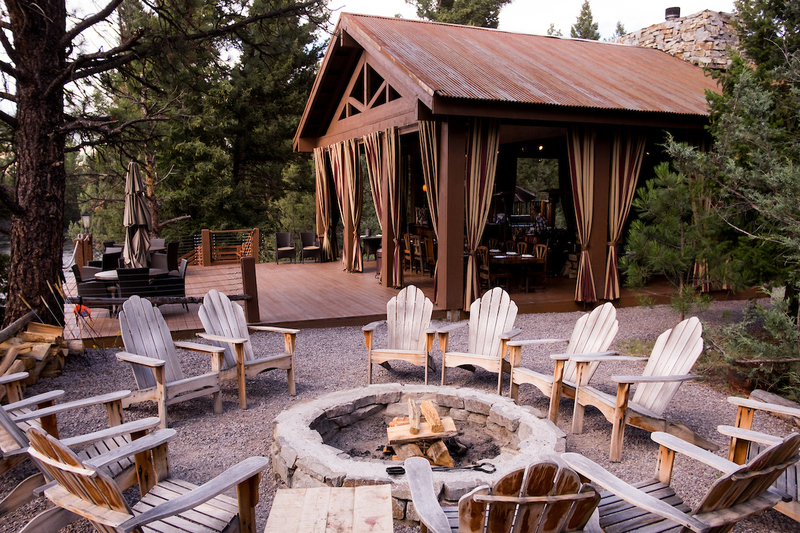 In true Paws Up style, five-star cuisine and luxurious accommodations are included. Make your travel plans now for the ultimate girls’ getaway. (This event is limited to only the first 60 women, 12 and older, who register). For the first time ever, Cowgirl Spring Roundup welcomes someone handy with a ladle. 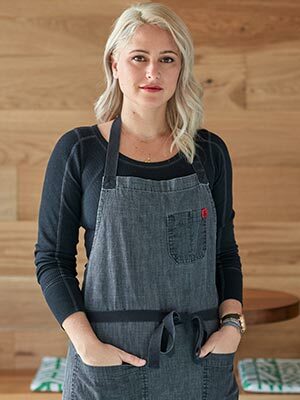 Chef and author Ellise Pierce will be wrangling our kitchen staff to bring you cowgirl cuisine like you’ve never tasted, expertly paired with wines from our Featured Vintner: Planeta. 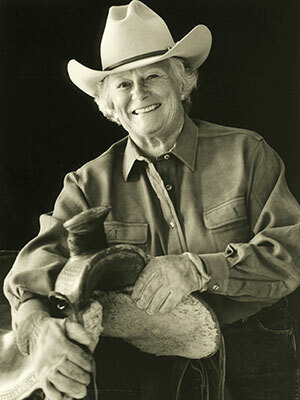 Get up close and hear stories from this year’s Cowgirl Museum and Hall of Fame honorees. As a teacher of all things equestrian, Sharon Camarillo has a rich background to draw upon. She rode her love of competition to a rodeo National Intercollegiate World Championship at Cal Poly, San Luis Obispo, California. Camarillo then competed on the pro rodeo circuit as a barrel racer—she was a four-time National Finals Rodeo qualifier. A teacher in every sense of the word, Camarillo loves to share her passion and knowledge of riding. Her clinics on handling horses and barrel racing draw big crowds. But at Paws Up, she’ll just be teaching our Cowgirl Roundup attendees. Beauty may be in the eye of the beholder, but it’s hard to imagine laying eyes on Veryl Goodnight’s paintings of Western wildlife without appreciating the exquisite loveliness. Overall, Goodnight’s body of work is as expansive as it is gorgeous. Her sculptures—more than 200 of them—further set her apart from other artists. Goodnight’s art has appeared extensively in numerous books and been shown in museums, such as the Autry Museum of the American West. 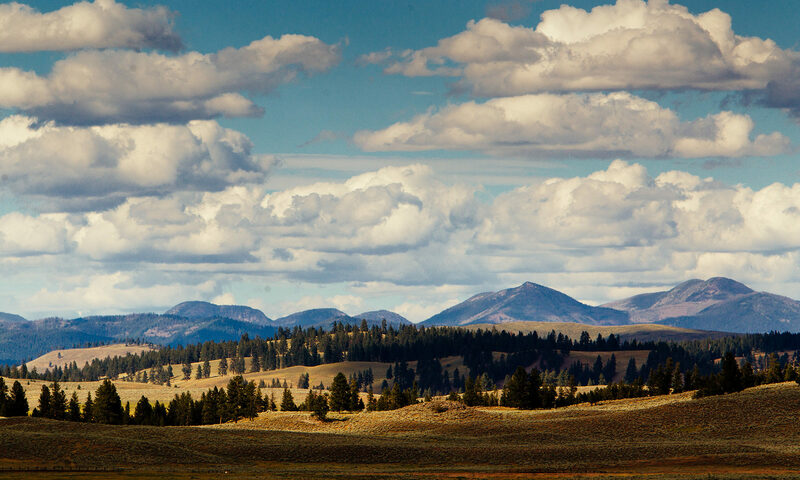 Imagine painting by her side, with a mountainous Montana backdrop. You can make that happen. Marilyn Williams Harris is a true working cowgirl. Owning and comanaging her grandfather’s historic Arizona ranch with her sister, Harris works on their cow-calf operation. 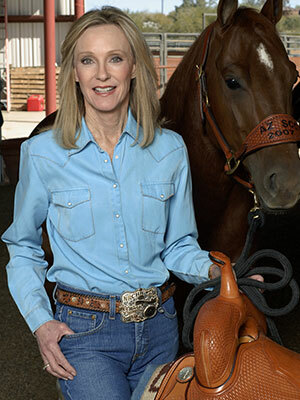 Her lifelong passion for riding horses led to American Quarter Horse Association World Championships in the Reining and Working Cow Horse categories, among other honors. When it comes to enthusiasm about sustaining the cowgirl way of life for future generations, Harris has few peers. Her unbridled zest for the Western land stewardship is truly contagious. 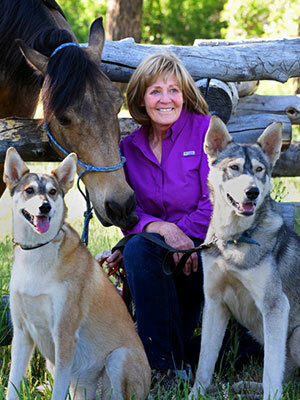 The passion Barbara Van Cleve has for Western ranch life is evident in everything she shoots. 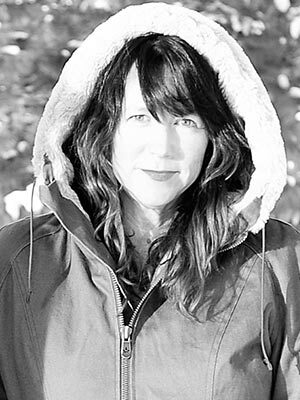 Her photography ranks with Western legends like William Albert Allard and Edward S. Curtis. With 55 solo exhibits under her belt buckle, Van Cleve exemplifies the grace and skill of Cowgirl Museum Hall of Famers. Her stunning book, Hard Twist: Western Ranch Women, rings true to life, perhaps in part because she was raised on a Montana ranch. The authentic flavor of the old West and the new West merge beautifully in Van Cleve’s work. This is your chance to shoot the American West with the master herself. 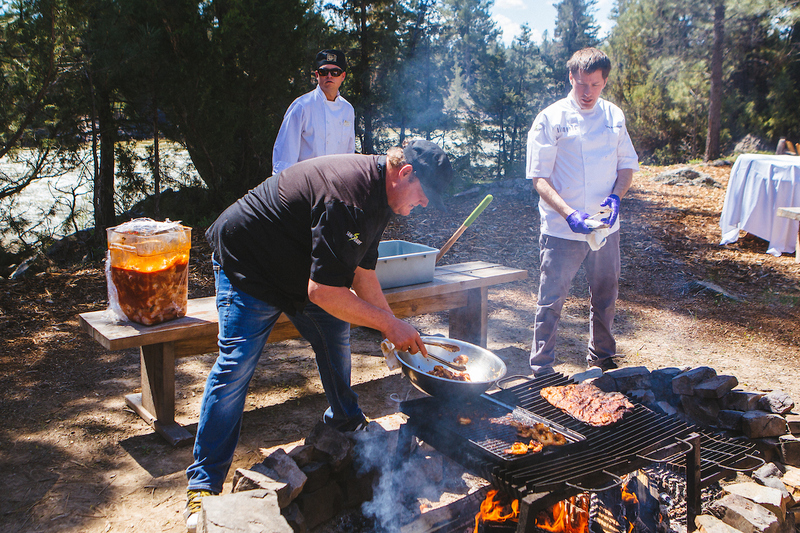 We’ve stoked the flames of anticipation for this year’s Montana Master Grillers event (May 25–28) with an all-new lineup of grilling greats. 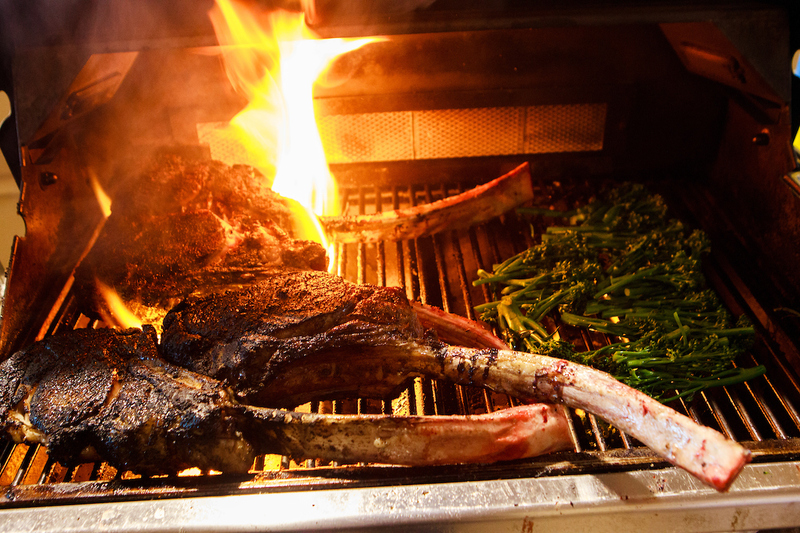 This year’s weekend-long event features maestros of the grill who have worked their fiery magic from deep in the heart of Texas to Boston’s Fenway Park. Each has a unique take on BBQ delights. 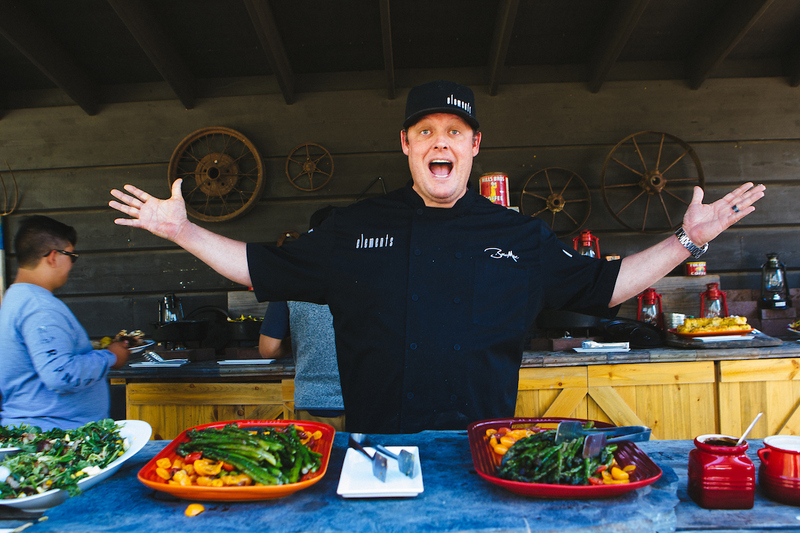 Join us as we fire up the grills with MMG veteran Chef Tim Byres, newcomers Chef Nicole Pederson and Chef Steve “Nookie” Postal as well as local Chef Burke Holmes from Missoula’s Notorious P.I.G. 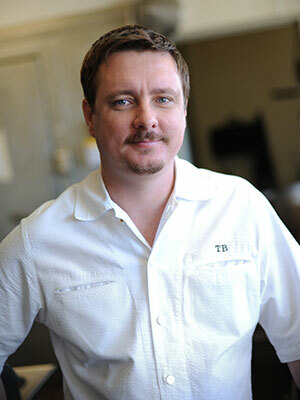 BBQ and Chef Pat Martin from Hugh-Baby’s BBQ & Burger Shop and Martin’s Bar-B-Que Joint in Nashville, Tennessee. 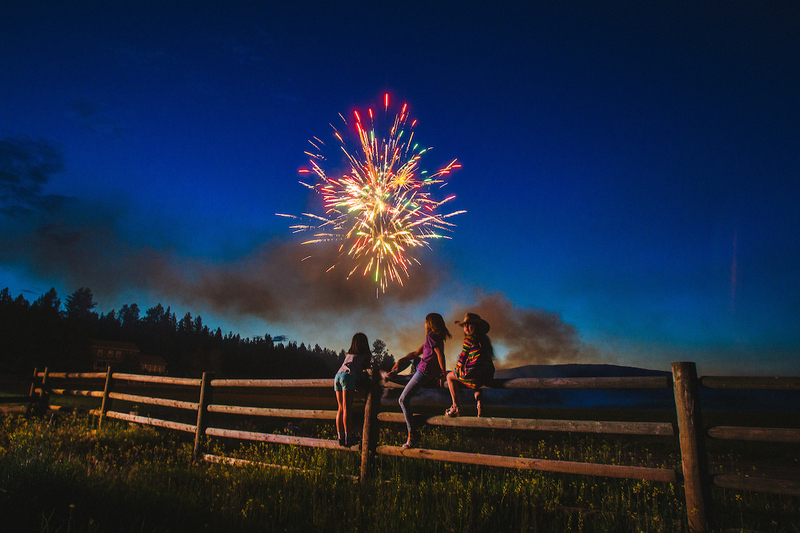 Besides their flame-kissed wonders, we’ll add a bevy of beverages from KettleHouse Brewing Company, Glacier Distilling Company and Wagner Family of Wine and nightly music by Dan Dubuque, Andrea Harsell & Luna Roja and the Lil Smokies making this one unforgettable Memorial Day weekend. 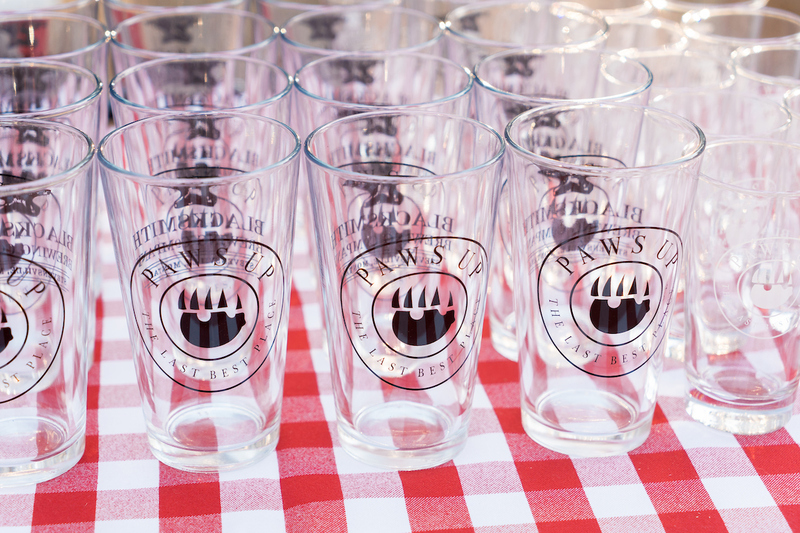 In true Paws Up style, our BBQ mastery will be served with healthy doses of stunning scenery, luxurious accommodations and wilderness adventures. 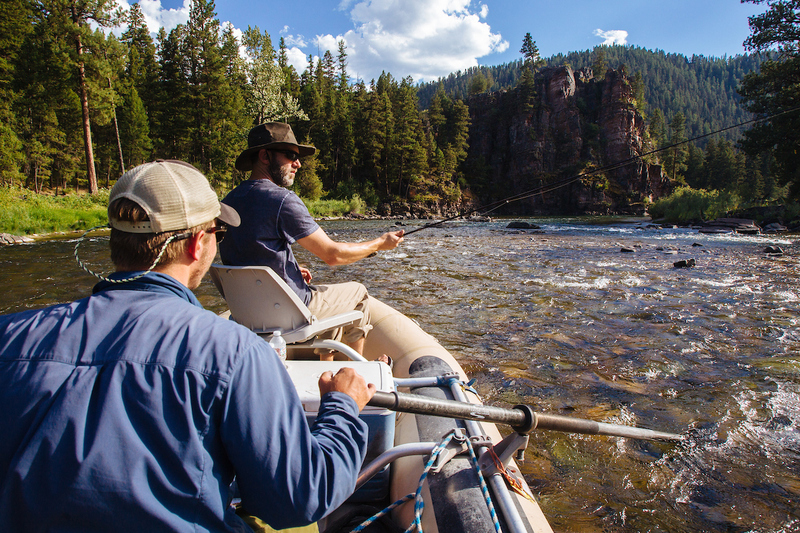 May we recommend a few hours riding the range with the Garnet Mountains as your sidekick or rustling up some trout from the beautiful Blackfoot River? 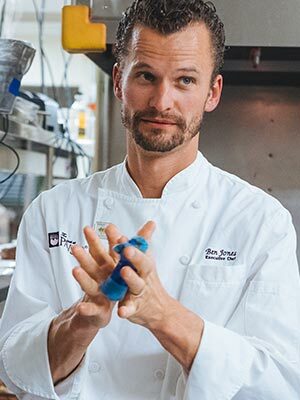 Chef Tim Byres, named the Southwest 2012 Food & Wine magazine’s People’s Best New Chef, is the co-owner and chef of SMOKE, Chicken Scratch, The Foundry, Bar Belmont, Spork and SMOKE Plano. 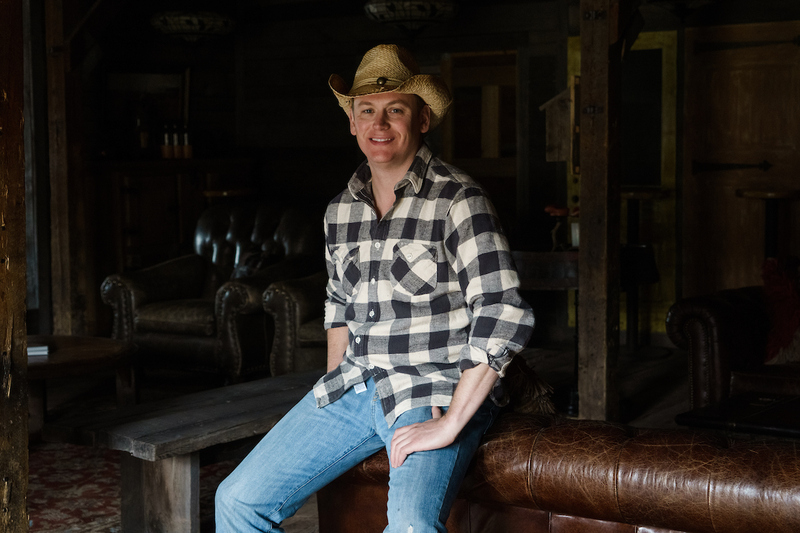 Originally from California but a longtime Texan, Byres is best known for his “live fire cookery,” worldly and approachable flavors and fun, family-style service. 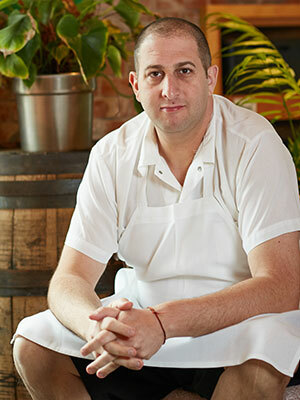 Named Best Al Fresco Restaurant by Boston Magazine as well as Best Neighborhood Takeout Restaurant, Commonwealth is owned by Chef Steve “Nookie” Postal, a veteran chef of Cambridge’s Oleana and Casablanca restaurants. Commonwealth sits proudly in Boston’s vibrant Kendall Square. 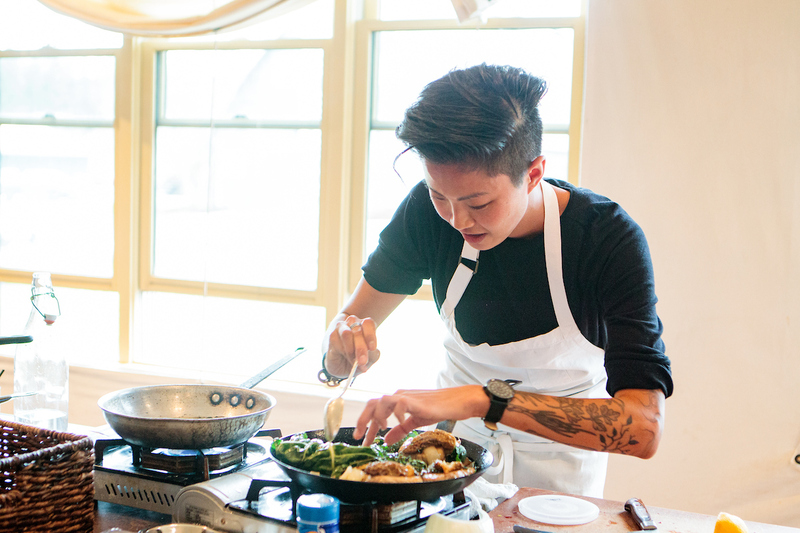 Fresh ingredients shine and take center stage via simple executions. 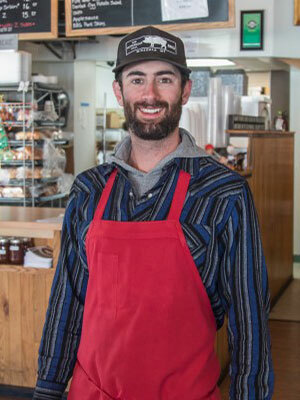 After learning secrets, techniques and recipes from world-famous pit masters in his native St. Louis, Missouri, Chef Burke Holmes brought the soul of true barbecue to Missoula, Montana. With such an authentic background, it’s no wonder Holmes’ Notorious P.I.G. BBQ was voted both Best BBQ and Best New Restaurant in Missoula. Always smoking meats over local cherrywood and applewood, Holmes typically applies his favorite rubs and sauces to everything from ribs and beef brisket to smoked cranberry-cayenne chicken wings. 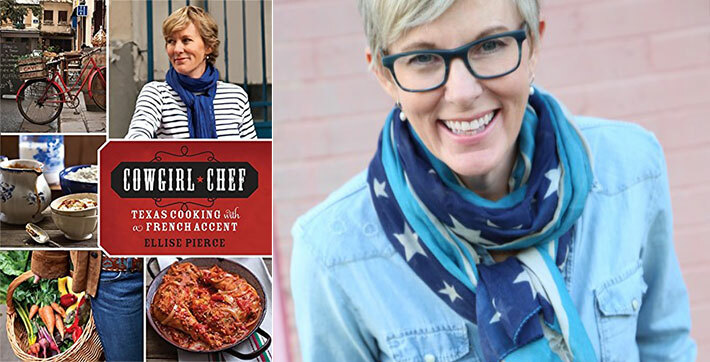 Chef Nicole Pederson has an impressive pedigree in food. 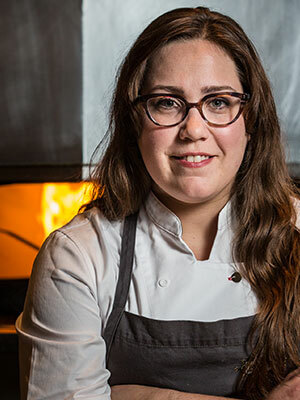 After culinary school in her hometown of Minneapolis, she gained valuable experience cooking in the south of France. 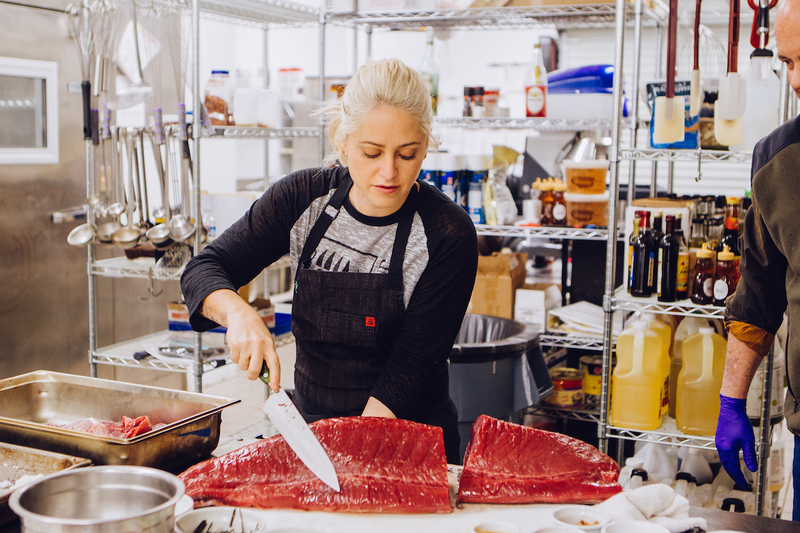 Pederson also worked at Gramercy Tavern in New York and then headed to the Lula Cafe in Chicago, where she honed her passion for all things local. 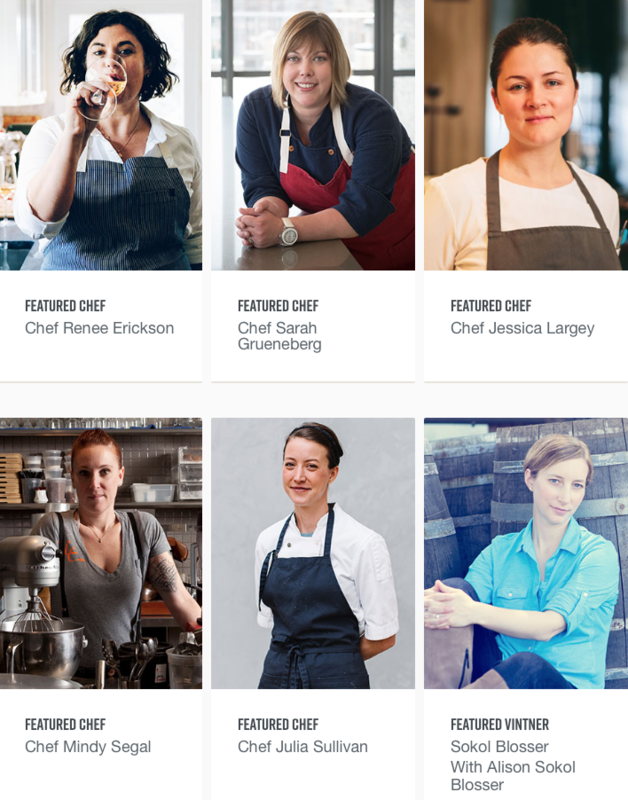 Pederson also held the post of Executive Chef at C-House. 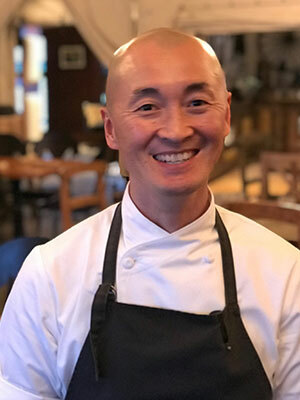 Before becoming The Resort at Paws Up’s executive chef, Sunny Jin’s culinary journey took him around the world, cooking for some of the planet’s finest restaurants—Napa Valley’s French Laundry, Catalonia’s El Bulli and Australia’s Tetsuya’s. 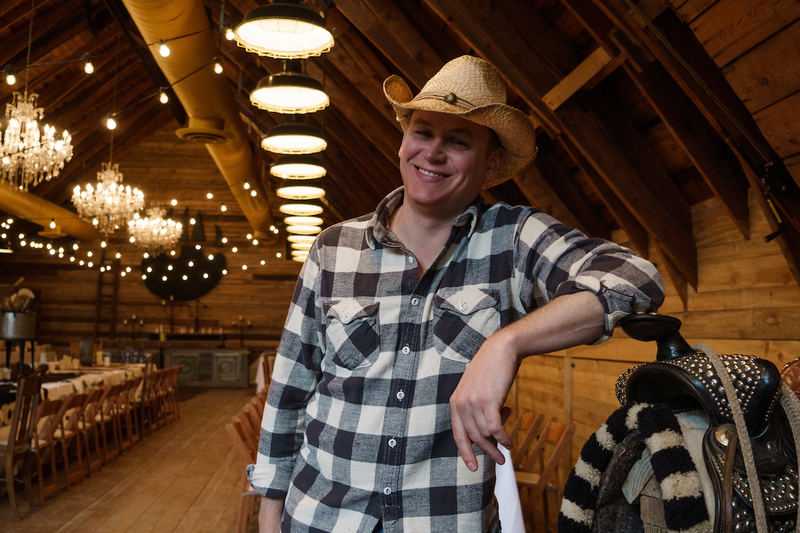 While his culinary skills have impressed discriminating palates globally, it’s the American Northwest where he feels most at home. 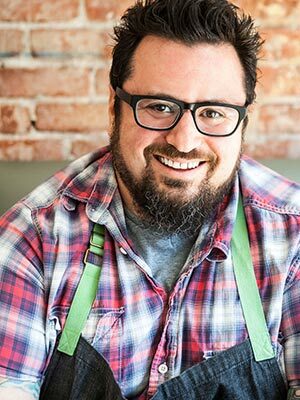 His formative cooking skills developed in Portland, Oregon, at the Western Culinary Institute, where he won the coveted Grand Toque Award as the top culinary student. 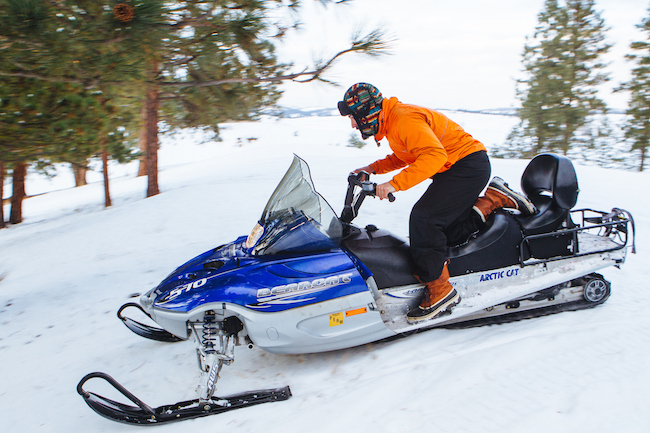 Montana winters are dreamy and full of adventure. 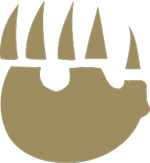 Paws Up’s annual WinterFest culinary weekend is January 25-28th, 2018 featuring James Beard Award nominee Bruce Kalman and Bravo Top Chef winner Brooke Williamson. 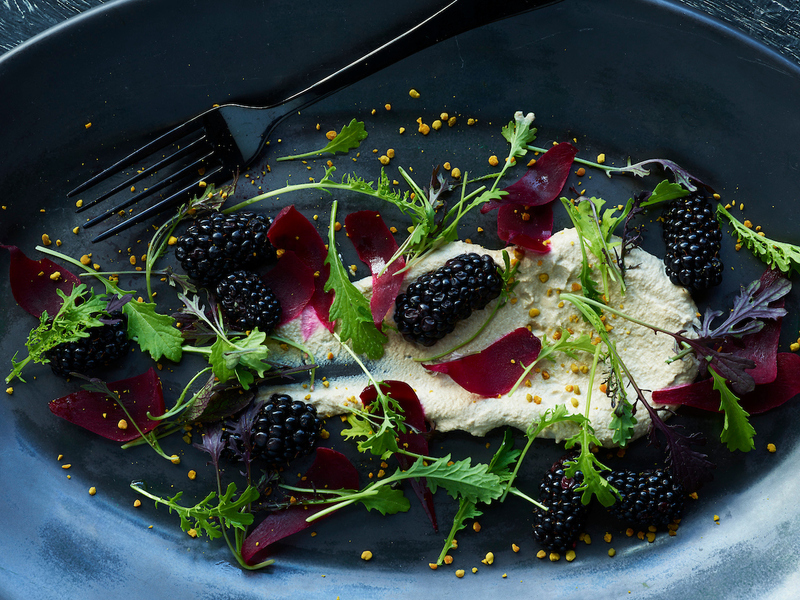 The event is three and a half days of intimate cooking demonstrations, gourmet winter-themed feasts, tastings and more. 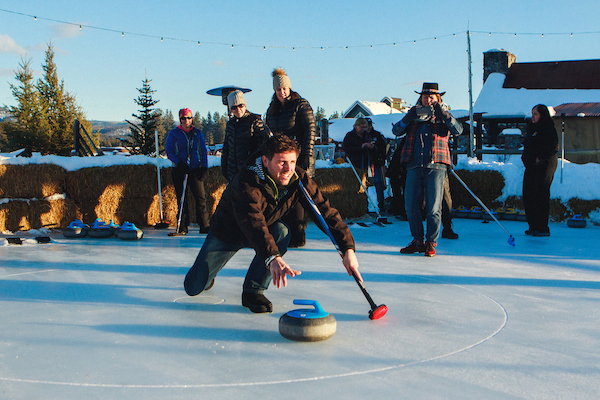 Guests will enjoy cocktails by Glacier Distilling Company served at a festive ice bar, fantastic wines by winemaker Ehren Jordan, live musical performances (see below) and even lessons and matches with the Missoula Curling Club. All of this will be served against a backdrop of incredible snow-covered mountains. 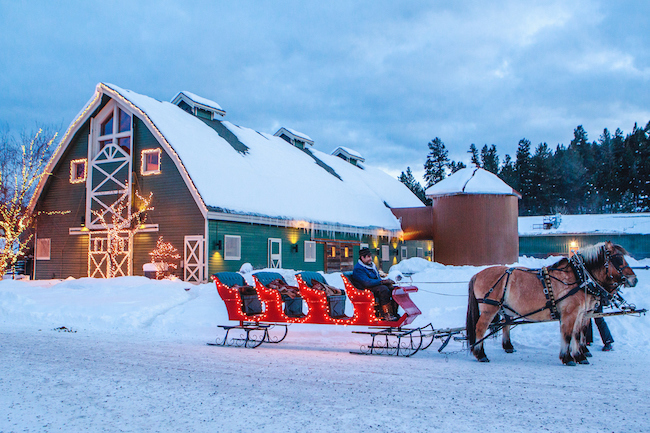 Between meals, you’ll get to enjoy horse-drawn sleigh rides, skijoring, snowshoeing and more, plus trunk shows for retail therapy, a host of spa services and, of course, sitting in your own private hot tub under a starlit sky. On Thursday night, January 25, hear guitarist and singer-songwriter Andrea Harsell artfully blend bluegrass, country, folk and rock. Her voice has been known to channel the likes of Janis Joplin, Alison Krauss and Alanis Morissette. 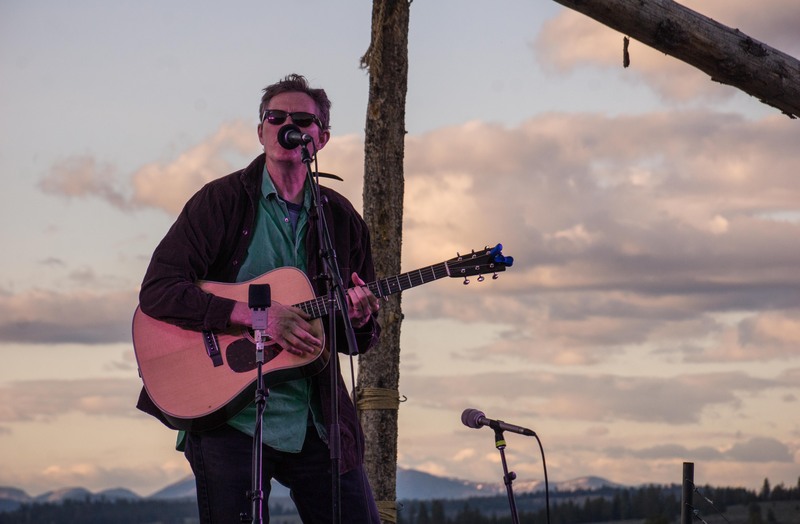 On Saturday night, January 27, listen during dinner as guitarist and singer-songwriter John Floridis fills the air with his bluesy, folk-rock melodies. 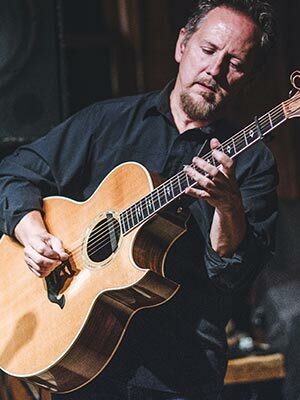 He’s played with Bruce Cockburn, Shawn Colvin, Patty Griffin and Emmylou Harris, among others. 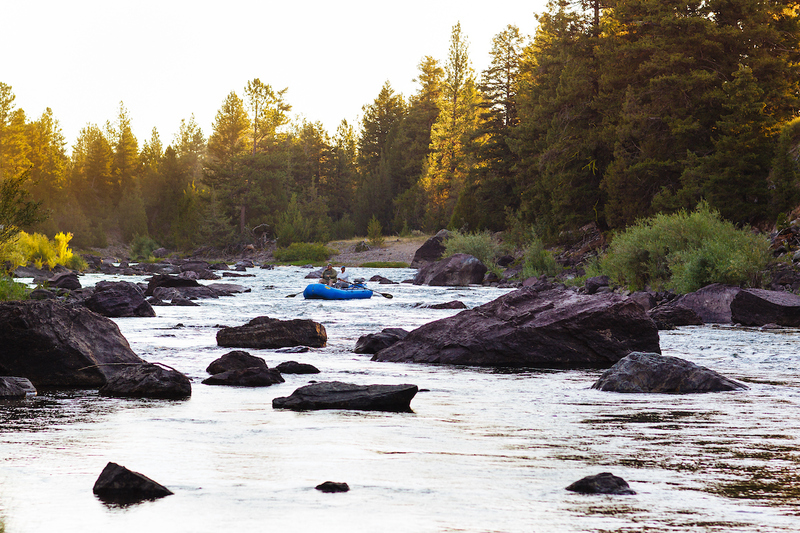 Rates for a three-night stay start at $745 per person, per night (based on two adults staying in a Meadow Home). 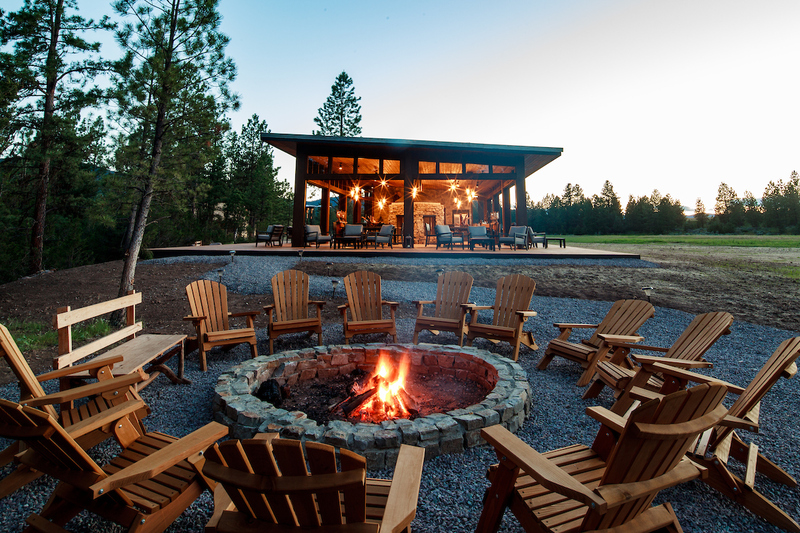 Rates include the following: four days/three nights in a luxurious Montana vacation home, three meals per day including nightly fivecourse dinners prepared by featured chefs with wine pairings, two workshops and two wilderness activities and complimentary airport transfers to/from Missoula International Airport, as well as complimentary on-property transportation.